My wife was driving to work one morning and BAM! When I was a kid in the 80's trucks were still a utilitarian creations. Trucks were for those who had a use for them. Towing, hauling and maybe a little fun off roading. The late 80's into the early 90's gave rise to a more refined truck experience. Suspensions became softer. Interiors moved from harsh cold bare steel environments to clothe and soft touch plastics. Fast forward to today and half ton pick ups are more versatile and luxurious than many common economy cars being sold today. Manufacturers are working to make them safer, stronger and more capable than ever before. On top of all that, due to more restrictive regulations, companies are doing all this while trying to get them to go further on a tank of gas than ever before as well. More power, better fuel economy. That's the tech of the future. However, if you want the latest features in your brand new pick up truck then you'll most likely be asked to pay a premium for them as well. Today many trucks can exceed $40,000 in the lower trims after adding a few basic options. To get the top of the line trims, in many models, will push that price tag north of $70,000. So when I was shopping for a new truck in the fall of 2017 I imployed as many tricks as I could to get the most truck with options for the least amount of money. 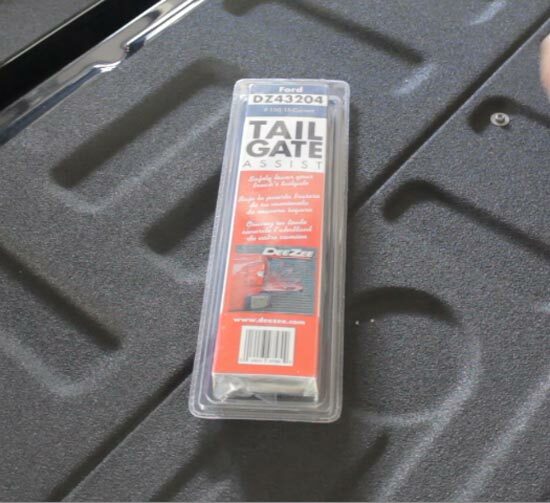 Ford offers a factory option that allows you to operate the tailgate remotely from the key fob. You can raise and lower it with the push of a button. However, to get that option you have to go up a trim level or two at the cost of several thousand dollars. Being a frugally minded individual I'm sure I can take care of this feature for a lot less than that. 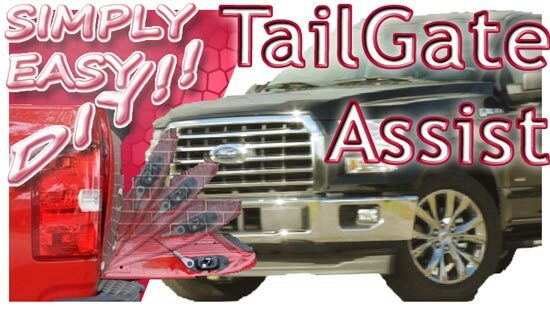 It only took me about 20 mins to install my tail gate assist unit. 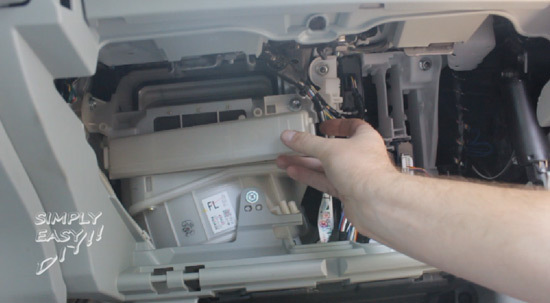 Most of that was looking for a misplaced 10mm socket and trying to get into a frustrating plastic package without cutting an artery in the process. Seriously I hate plastic packages like the one this came in. If you would like to hear my complete thoughts and review of this product you can check out my product review video here. Today we're discussing the topic of egg storage. What do you do in your home? 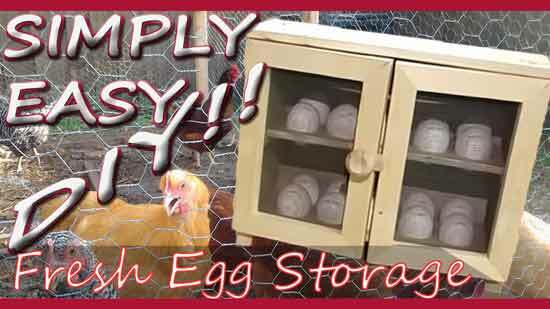 How do you store your purchased eggs or ones provided from your own laying flock? Do you store them at room temperature or place them in a refrigerator? Should eggs be kept in a refrigerator or not? There are differing opinions on egg safety , and there's a lot of information available on the internet as to the pro's and con's of what the proper method is to store them and I urge you to check into what is best for you and your family. In the meantime I'd like to share with you what we do with our eggs. We have backyard chickens and we have lots of fresh eggs arriving daily. Oftentimes they are gathered and sit awaiting further attention such as a quick wash or clean. Here's a sample of a day or so of laying. We've got both white and brown egg layers in our flock. They've just been gathered by our little helpers and are on their way inside. Once inside, we keep them in this basket on our counter top. They'll get inspected and washed by mom and dad. Sometimes even get used right away! You know what they say - farm fresh! Later, they'll go into a regular egg carton which is kept in our refrigerator. 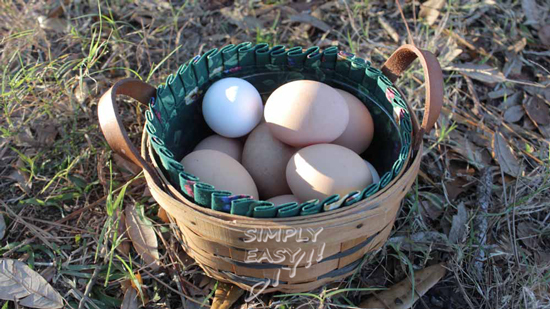 Not interested in using a basket or carton for your egg storage? 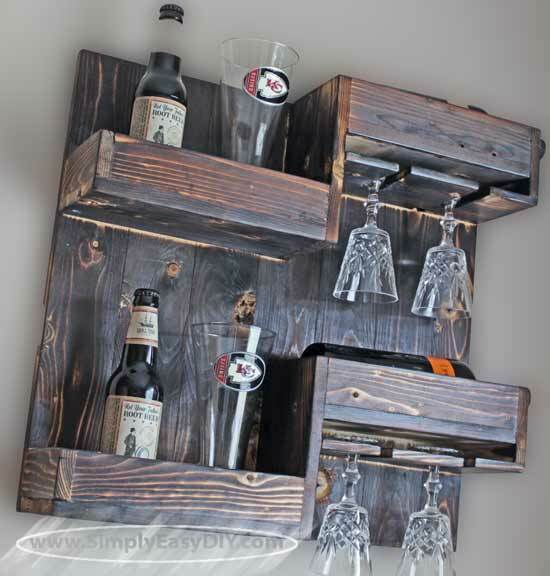 Here is another storage solution to put your eggs on display. Colored Easter eggs in this cabinet look especially inviting. Our inspiration piece today was shared by Robs Woodshop. Check out Rob's YouTube channel and while there don't forget to like and subscribe. If you enjoyed this project, then here's another one you might be interested in as well. Check it out here! Ok, that may have been a little cheesy but that is sort of my thing. Those that have been around my YouTube channel for a while have come to expect that kind of humor. I don't know about where you keep your spices but ours have always been in one of our kitchen cabinets. It always takes up at least one of them. It was like that when I was a kid and I've never thought about changing it much. 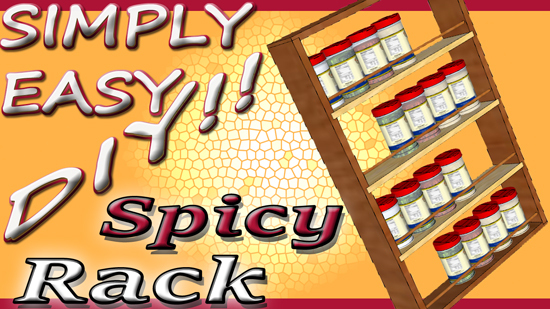 Introducing the handy dandy super duper organizing DIY project for all your spicy spices. Plus some that are not so hot. Hehe!! 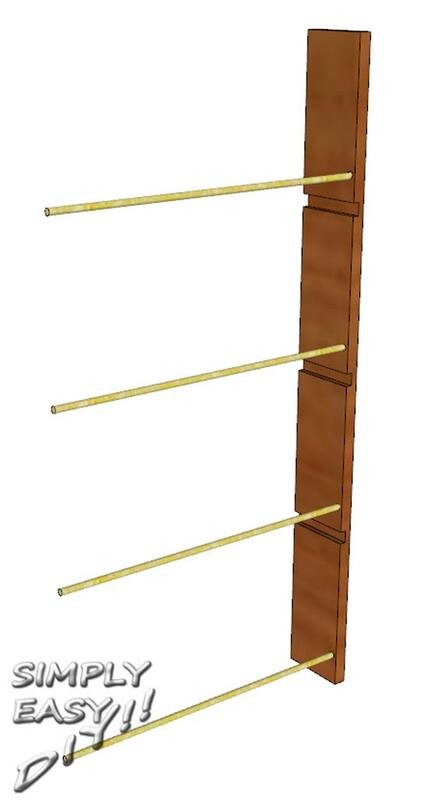 2 One Quarter Inch Diameter Dowels - These are usually sold in 36" lengths. Some may be 24" and in that case you would need 4. 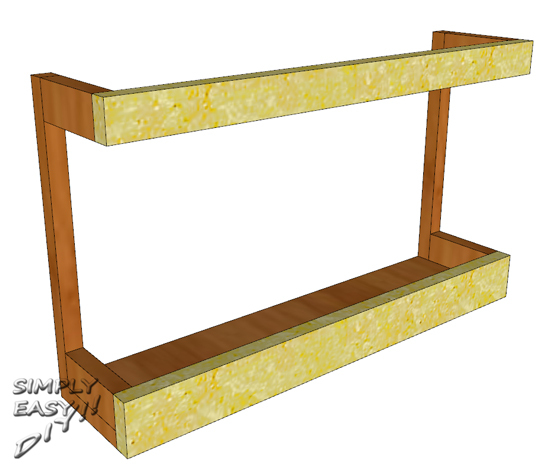 1 Top @ 2.75" x 13.5"
1 Bottom @ 2.75" x 13.5"
2 Sides @ 2.75" x 25.75"
3 Shelves @ 2.25" x 13"
3 Quarter Inch Dowels @ 13"
Cut the side pieces to length. 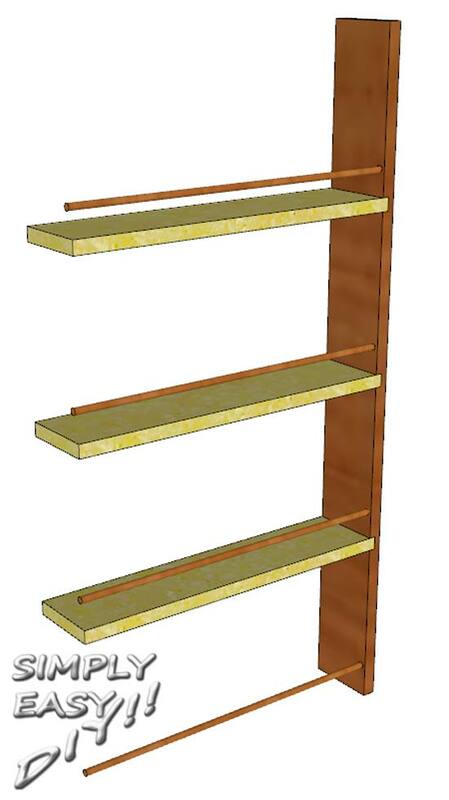 Then route 3 dadoes the thickness of the shelves in each side. 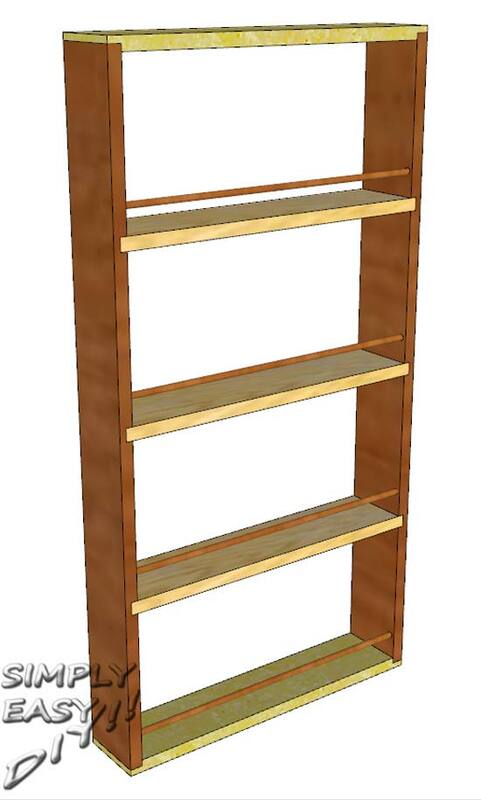 I have them placed 6" apart for this project listing however, you could space them as far apart as you choose. You could also add shelves or take them away. It's up to you. Make it yours. Don't forget to drill the holes for the dowels. I have the lengths listed for a quarter inch deep seat. However, you could drill all the way through the sides to make them through dowels. This would add a bit of visual appeal to the project in my opinion. 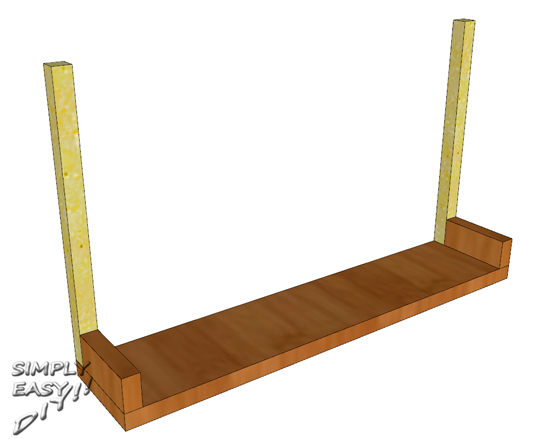 The dowels are measured one inch up from the top of their corresponding shelf and 1/4" in from the front. A dab of wood glue in each dowel hole. Then seat each of the dowels firmly. 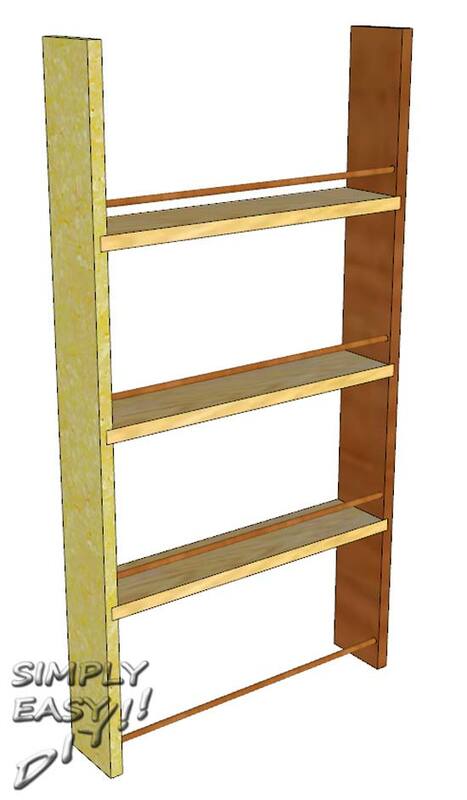 Each of the shelves for the spice rack can be glued in place and before the glue has a chance to set proceed to step 4. 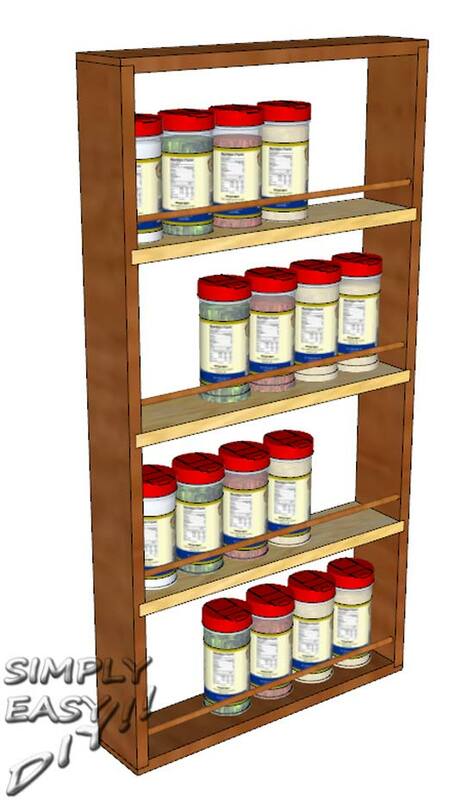 Position the other side of the spice rack seating the corresponding dowels and shelves. Continue on before the glue sets. Glue the top and bottom pieces in place. 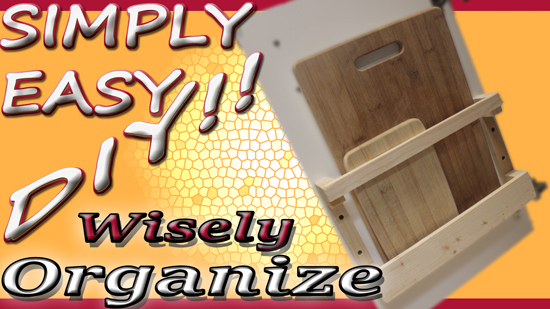 At this point a few right angle clamps can be used to ensure the whole kitchen cabinet door hung rack is square. The project has no back to it. Please don't go out and buy those 90 degree metal pieces to attach this to the inside of your kitchen cabinet. Nothing says "cheap store bought" than those things. I would use a keyhole bit in my router to route some keyholes that would seamlessly and securely hang this anywhere I wanted. By the way, this would look great not only on the inside of your cabinet door but also any place on a wall that needs a little extra styling. Obviously you would need to measure the distance between the inside of your cabinet door and the front of the shelves. 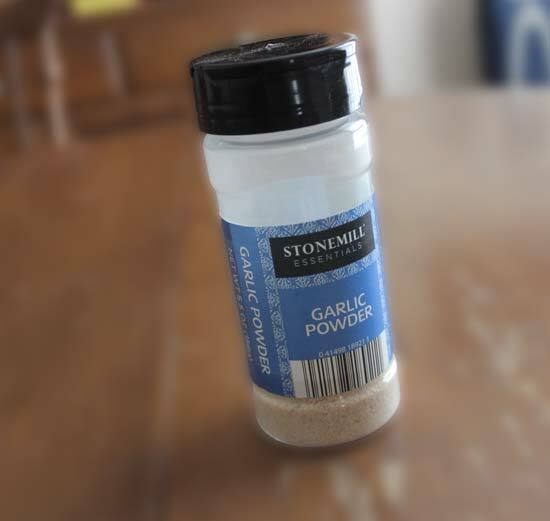 This particular project posting was measured to fit those 5.5oz bottles of spices. The inside of kitchen cabinets can quickly become unorganized piles of messes where only the bravest dare tread. Our cutting boards were at one time just pushed along the side of a cabinet propped up by a few pots or pans they shared the space with. I'm sure you know the set up. Perhaps you are there right now. Whenever we would take out a pot the cutting boards would have to be propped up by a new pan. Inevitably something wouldn't go right and I'd end up making a bunch of noise as things fell awkwardly. Then I would just push and shove things in order to close the cabinet door and end the whole horrible ordeal. Lets fix that, shall we! 1 Bottom @ .5" x 3" x 14.5"
1 Bottom Front @ .5" x 1.5" x 14.5"
1 Top Front @ .5" x 1" x 14.5"
2 Back Verticals @ .5" x .5" x 8"
4 Sides @ .5" x 1" x 2.5"
This project is fairly safe to go ahead and cut all your pieces to length at the start. Then glue and clamp two of the side pieces to the bottom piece. The two vertical back pieces can be glued in place after step one has had at least a half an hour to dry. After each of these steps you are going to want to wait about 30 minutes before continuing. Why? Because that is how long it takes most wood glues to set up. This step is slightly different than what you see me doing in the video. I lengthened these side pieces by half an inch so I could cut the notches for the vertical back pieces. This gives me a little more gluing surface and makes the project a little stronger. HOWEVER, this is not necessary and the project is plenty strong after it is assembled without doing what I did. If you just follow the steps listed here your project will be just fine. Because I built one both ways and I see zero difference. Step four of is the final step in the assembly process of our new storage solution. 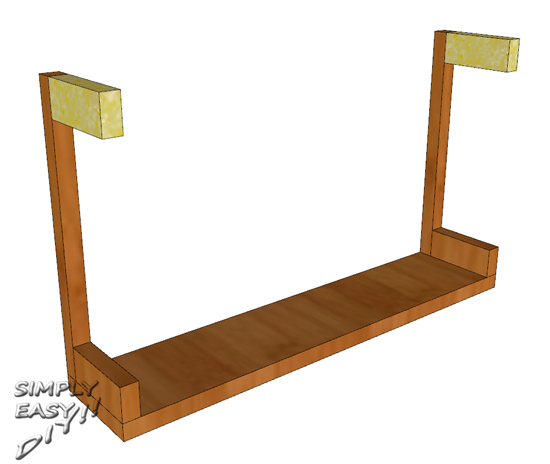 Simply glue and clamp the two front pieces in place. Obviously the next step would be to drill two countersunk screw holes on each of the vertical back pieces. 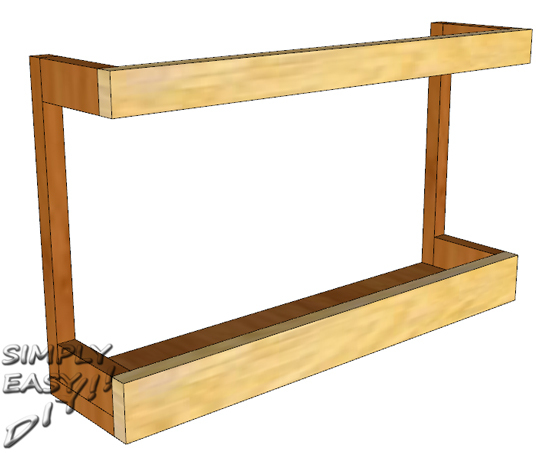 Then simply attach the rack to the inside of your cabinet door. 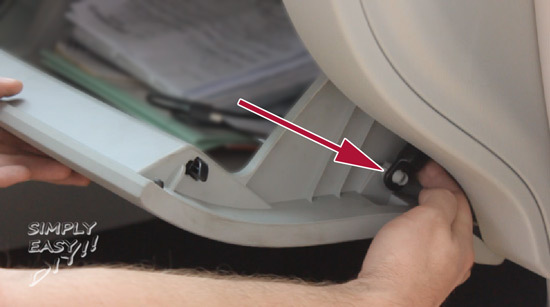 Just make sure to choose a screw size that is long enough to secure the project to the door without falling off but not long enough to protrude through the front of your cabinet door. 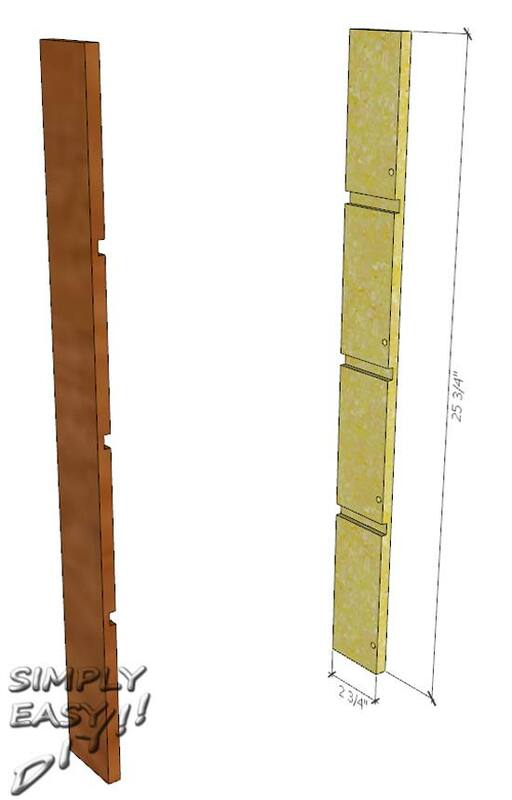 Assuming most cabinet doors are 3/4" thick and the vertical pieces of the cabinet rack is 1/2" means a three quarter inch long screw should suffice. Before you do the mounting work however, you will want to sand the whole project, round off any sharp edges and apply your choice of stain and sealant. 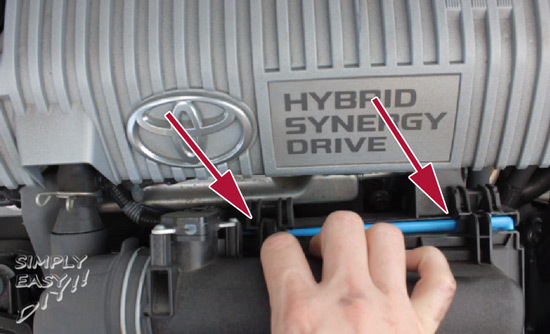 We have a 2012 Toyota Prius with 91,000 miles as of the writing of this blog post. We are pretty consistent with getting its regular maintenance. Oil changes every 5,000 miles and tire rotations every 10,000 miles. This is not a car maintenance website so check you vehicles owners manual for your specific scheduled intervals. We have always taken our vehicle back to the dealership that we purchased it from for these services. One of the reasons why we do that instead of me doing the oil changes myself is time and money. It costs $55 for an oil change from out local dealership. It's $70 if I want to take it to a local tire kingdom or some other similar business. Weird how the dealership is cheaper. 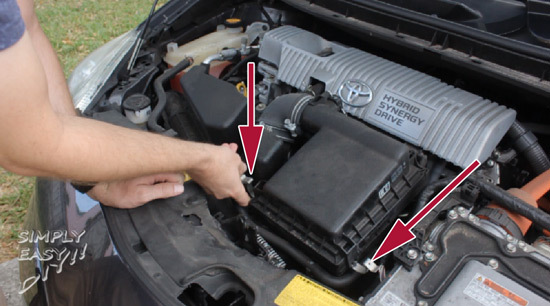 If I purchased the oil, oil filter and gasket so that I could change my own oil it would cost me around $40. I figure that $15 difference is time saved that I can use for woodworking. We all have priorities in our lives...hehe. HOWEVER, there are maintenence items that the dealership always hits me up for that I just can't justify having them do. This is the Engine Air Filter I bought as a replacement. Seems to be about the same quality as the OEM filter. 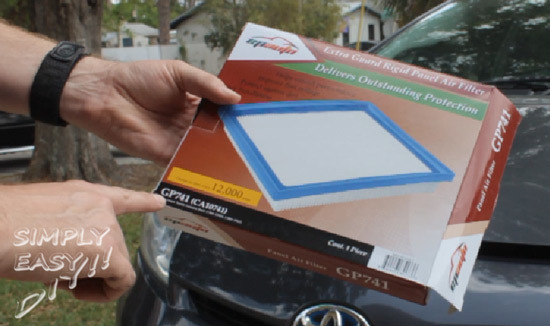 This should fit all third generation Toyota Prius vehicles (2009 - 2015). 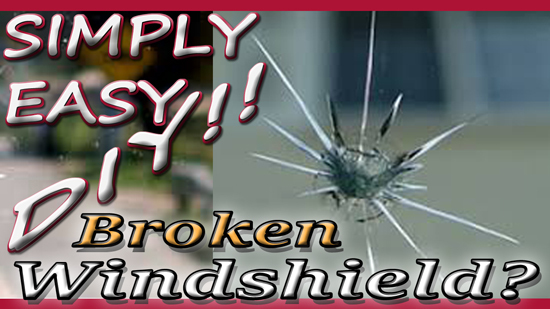 Obviously you should verify whether it will fit your vehicle before purchasing. The filter sits centered in the engine compartment. It's black and square and you can't miss it. It's held in place by two metal clips pointed to by the red arrows below. 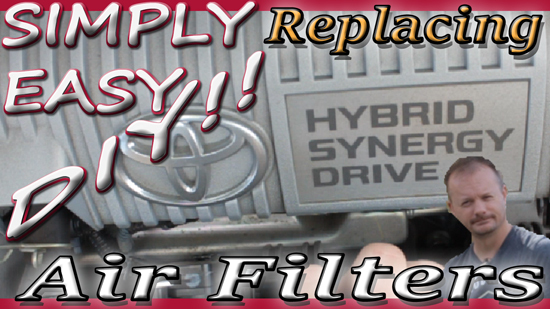 Flip those off and then turn your attention to the back of the filter cover where it says "Hybrid Synergy Drive". Here you will find what I referred to as hinges in the video but they aren't really hinges they are clips. You do not flip the top up and open it like the hood on the car. You pull the cover down and toward you to pull the clips apart. Then the top can be lifted off it's housing about 4 or 5 inches. Enough to get the air filter out of it's compartment. Refer to the video above for a full visual representation. That's all their is to replacing the engine air filter. Took me about one minute and I'm no expert. 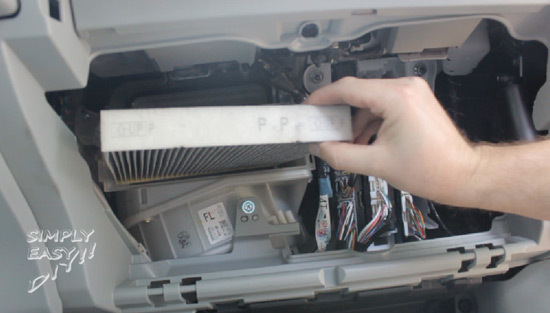 The cabin air filter is just as simple. 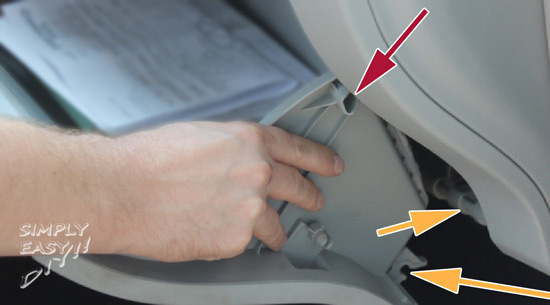 First, we need to lower the bottom portion of the glove compartment box. It is held on by a few plastic pieces. The first one to be concerned with is a hydralic strut attached to the side of the box. This is the piece that lets the box down gently when you press the button to open the compartment. It just pops off without much force. Then there are two button knobs that ride in a track that are outside the view of the below camera shot. Just push on the side of the box and that will release it from it's track. A fair amount of force needed to be applied here as the sides seem to be fairly sturdy. The pic below gives a better view of where that knob gets snapped into on the box. Denoted by the red arrow. The bottom of the compartment box is clipped onto a plastic frame piece that needs to be pulled apart. Both pieces are denoted by yellow arrows. The filter is just behind the glove box and has a white cover over it. It's easy to remove by a clip on one side to reveal the filter behind it. The one thing to be aware of here is which way the replacement filter get put back in. My filter had a little arrow printed in one direction which notes which side should face up. I used a Fram replacement filter and as soon as I took it out of its packaging I noticed it didn't have as many pleats as the OEM filter. Filters with more pleats tend to filter more effectively and last longer than those with fewer pleats. I haven't noticed a difference but get back to me in about 10,000 miles. I may be singing a different tune. Currently I have a link to the exact filter that I purchased but I reserve the right to change it in the future based on performance. However, the engine air filter seemed to be exactly the same quality as the OEM part I replaced. Both links here on this website at this time are to the exact items I purchased. One I'm happy with but the other I'll have to wait and see.